In a positive twist to the saga that has become comic book legend Stan Lee's life, a judge in Los Angeles granted a second restraining order that has been set up to protect the Marvel comics legend from Keya Morgan. Morgan, a memorabilia collector, recently inserted himself into Lee's life and slowly began to isolate the man from his close friends, family, and business consultants. It is the belief of many that Morgan was "unduly influencing Mr. Lee and isolating him," which led to his firing in February of this year. Morgan was recently arrested for filing two false police reports about a break-in at Lee's home and an assault. Attorney Tom Lallas appeared in court earlier this week to represent Stan Lee and to get the permanent restraining order against Keya Morgan finalized. However, the judge had to dismiss the case when several lawyers appeared in court claiming to represent Lee. Lallas claims that he was asked by the Los Angeles police department investigator to handle the case and called the situation "Very unusual." Attorney Stephen Crump, who on behalf of attorney Jonathan Freund, was able to get a second permanent restraining order granted by the judge. Freund previously filed an elder abuse lawsuit against another Lee associate, Jerardo Olivarez. The permanent restraining order conditions state that Keya Morgan has to stay 100 yards away from Lee at all times as well as his home. In addition, Morgan is to stay away from Lee's daughter J.C. and Larry Lieber. Stephen Crump alleges that Morgan has been making threatening phone calls to both J.C. and Lieber over the last several months. It is also believed that Morgan was trying to get his hands on Lee's estate, which is valued at over $50 million. Crump had this to say. "If Keya Morgan is allowed contact with Stan Lee, it is feared he will again attempt to remove Stan Lee to unknown location(s) to further his past attempts to control and manipulate Stan Lee, and alienate him from his daughter, and sole heir, J.C. Lee." 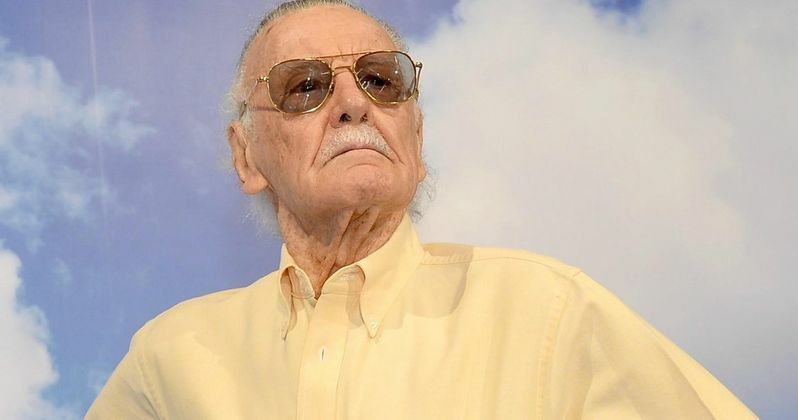 Attorney Stephen Crump also alleges that Keya Morgan and his mother "abducted" Stan Lee from his house and to an apartment to further exert control over the comic book legend's affairs. Crumps says that the incident was a final attempt to completely "cut Stan Lee off from any meaningful communication with anyone other than himself and those he could control." Crump also alleges severe physical and mental abuse by Morgan in an effort to control every aspect of Lee's life. The latest story is just a new chapter in a string of bizarre incidents that have accumulated in Stan Lee's life over the course of the last year. The police have been called to Lee's residence multiple times and allegations of elder abuse have been made by professionals as well as fans who met the comic book legend at a recent comic-con in the Silicon Valley. There was even a story about someone stealing Lee's blood to make special pens. Guardians of the Galaxy director James Gunn, Kevin Smith, and others have also expressed their concerns. Smith even offered to let Stan Lee come live with him. If that wasn't enough, Stan Lee's social media accounts were at one time hacked and then started posting weird messages, leading many to believe that the accounts are still hacked. All of these stories are happening as Marvel is seeing the biggest success that they've ever achieved. This should be a time of celebration for Lee, not a crazy legal circus that keeps getting weirder and weirder. Thankfully the permanent restraining order against Keya Morgan has been granted. Lee will continue to recover from the severe mental and physical abuse that he has suffered over the last few months. You can read more about the second restraining order over at Variety.